The Christ in Prophecy Journal: Quick Q&A: How do I Understand the Bible? Q) What is the key most important thing to understanding the Bible? Three words: context, context, context. Every word of the Bible is part of a sentence, every sentence is part of a paragraph, every paragraph is part of a book, and every book in the Bible is part of the entire Bible. So, there's both an immediate context of each verse and there's a broader context. And, the best way to make sure that you're interpreting rightly is to consult both, the immediate context and the broader context. For example, there's a verse in Matthew 5:48 that says, "Be perfect as your Heavenly Father is perfect." Some people read that and they go, "Oh, I've got to be absolutely perfect to go to Heaven. Uh oh, not good." Because you know, we're not perfect. None of us are. When you look at the context, what you see is a discussion about love. You see the Jewish Pharisees said that you're supposed to love your neighbors but hate your enemies. Jesus said, no, you love your neighbors and you love your enemies. You are to be perfect in loving other people as the Heavenly Father is perfect. You see, that's the context. It's all about love. So, that helps us to understand what this verse is really talking about. It's not saying that we must attain some perfection to go to Heaven, but rather it's saying that we should be complete in loving other people day to day. 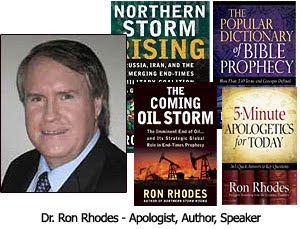 Another thing I'd add to Dr. Rhodes excellent answer is that the Bible will not make any sense whatsoever to the person who does not have the Holy Spirit illuminating the text. Whether it is the unbeliever who by the hotel bed stand has their interest piqued to open that Gideon Bible, to the skeptic who approaches the Good Book in an attempt to disprove its teachings and end up being convicted of its truthfulness, to the child who has no understanding about the magnitude of the breadth and the depth of God and His workings — it is the work of the Holy Spirit that draws those alien to the Gospel and convicts them of God's deepest love for their souls. For the believer, the Holy Spirit is the Great Counselor that illuminates every page the inquiring regenerate approaches with fear and trepidation, unlocking the great riches God has stored in each and every verse. Without the Holy Spirit, the believer can get tangled in a corner of a teaching and miss out on the larger plans of God. And, without the Holy Spirit "interced[ing] for us with groans that words cannot express" (Rom. 8:26), the saints' pleas to understand our so great salvation would hardly be met with the insights of pure joy that only the Holy Spirit can pour out so generously upon us. Another lesson I have just learned. On Tuesday, a car suddenly sped past me going much too fast and missed me by less than a whisker in a car park, and I said something naughty.